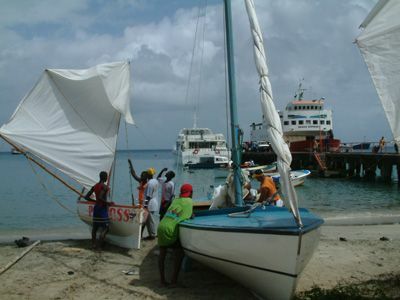 On this tour, you have the choice to fly or to take the ferry to Carriacou! This tour offers Grenada’s Grenadine islands of Carriacou and Pt Martinique to you! The Ferry leaves Grenada daily and takes just over an hour to get to Carriacou and ten more minutes to get to Pt Martinique, or you can choose the 20min panoramic flight to Carriacou – the choice is yours. From Hillsborough Harbour, Carriacou, Captain Brian takes us over the hills to Carriacou’s panoramic east coast where yacht, Cinderella, floats on infinite shades of blue. Motor-sailing to beat the Northerly winds, we drop anchor off luxurious Pt. 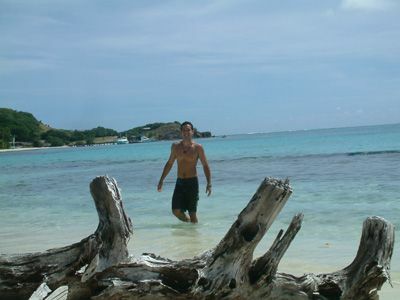 St. Vincent , secluded play-ground of the rich and famous in the Grenadines. Time to enjoy a typical home-cooked Grenadian lunch, to explore the reef while snorkelling or to just have a relaxing swim. The return ferry-ride starts at Pt. Martinique, with a short stop in Carriacou before docking to the setting sun in St. George’s Grenada.